Photo courtesy Brian Huff, www.brianhuffphotography,com. Just look at this drink, who wouldn´t want one? and the other two..these three cocktails are the winning out of ten finalists and the Death in the South Pacific is the one that made it all the way – and i think they have picked a worthy winner. There were 150 entires to this contest where the winner is the official cocktail of the Tales of the Cocktail 2010. This was a tiki punch up, the contestants were to make a tiki cocktail based on the rum punch or a tikified rum punch if you will. Death in the South Pacific was created by Washington bartender Evan Martin. Here´s a link to the recipes and pictures of the second and third place cocktails. “This drink hits all the contest requirements on the nose: It creatively mixes multiple rums, sweeteners, and citrus to “tikify” the Planter’s Punch template; it has a full-bodied, layered, but not overcomplicated flavor; and its garnish shows theatrical flair, cleverly referencing the drink name.” Said Jeff Berry, official cocktail competition judge and tiki expert. Martin’s cocktail will be served throughout Tales of the Cocktail, July 21—25, and will be featured in the summer issues of Culinary Concierge and The Tasting Panel magazine, and on the CocktailTimes.com and DrinkBoy.com websites. Garnish: Take a bamboo skewer and put a brandied cherry through at the very top followed by 1 pineapple leaf (insert through the middle) and then cut off skin from 1 large orange slice and then cut the strips in half. All of the winning recipes can be found at www.TalesoftheCocktail.com. 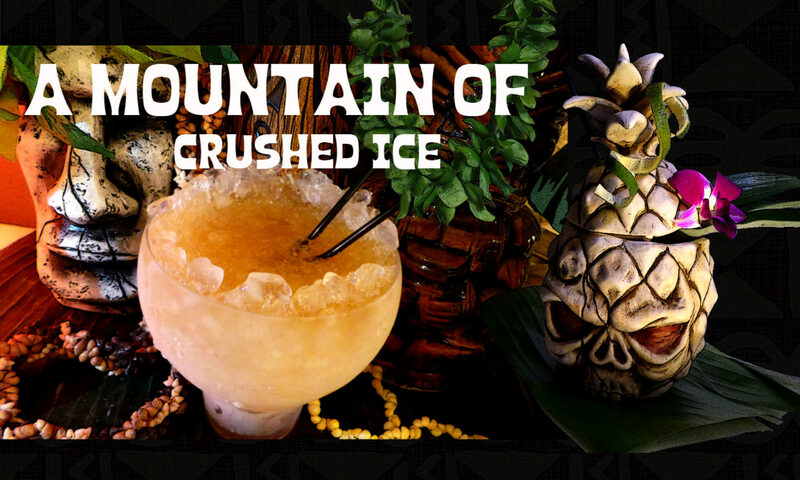 I`ll definetily try out this drink and some of the other finalist drinks at the Tales! and i love the gorgeous “hanged man” garnish! You need to give this one a try before you dismiss it (and I realize you can’t for lack of ingredients). The Cruzan Blackstrap in particular is not a typical tiki drink ingredient, and in this drink its rich and tongue-biting flavor plays wonderfully well with the rest of the mix — especially the falernum and orgeat. 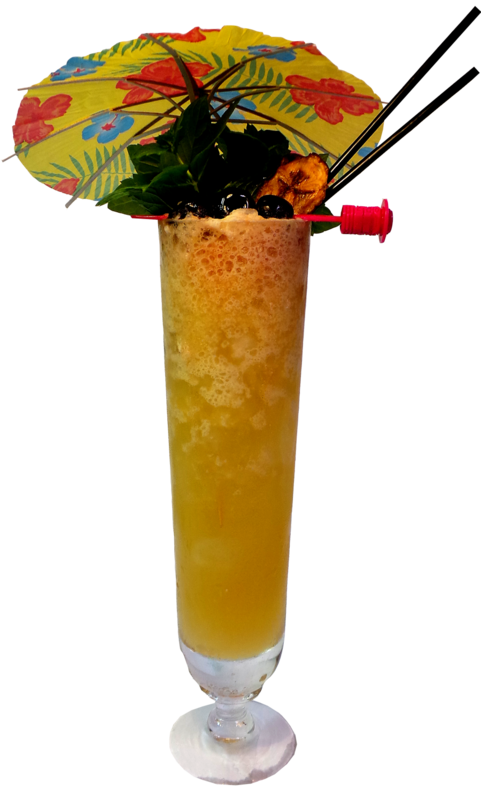 The drink on the whole is like a combination of a Corn ‘N Oil, a classic Jamaican rum/Martinique rhum mai tai, and fresh fruit. I’ll be mixing this one up again before too long. The drink looks fantastic in color and garnish, but other than that it’s not very original, basically a straight Mai Tai with some grenadine and falernum and a float which makes an already strong drink much too strong for my taste. Since absinthe is crazy expensive and Blackstrap isn’t available here I’ll probably never be able to make this properly. The second place drink is borderline retarded with all the small details, and Myer’s makes it an instant fail in my eyes. The third place drink seems much more interesting to me, but again it uses a rum which will probably never be available outside the US. Anyone know a good substitute for the ONO 3yo? Its a very interesting drink.If you check the 4 first ingredients and add the lime to it, it very much spells Mai Tai and then the addition of falernum, absinthe, lemon, grenadine and blackstrap it starts to look like a zombie but its an entirely new drink.It has also the formula of rum punch in it. Just spun this one up — subbing Clement Creole Shrub for the Gran Marnier I don’t have — and it’s very nice. The rhum flavors come through nice (esp. with the shrub). The orgeat and blackstrap rum with the orange liqueur also really play nice together in this one. Lots of mai tai underpinnings in there. Starts out on the sweet side with the orgeat and falernum and then the grenadine mixing down, but a good swirl or two to being the blackstrap into the mix balances the whole thing out quite nicely. Kudos to Mr. Martin on an outstanding drink. I’ll have to try it with the GM as intended for comparison, but I can tell you it works well with the shrub as well. 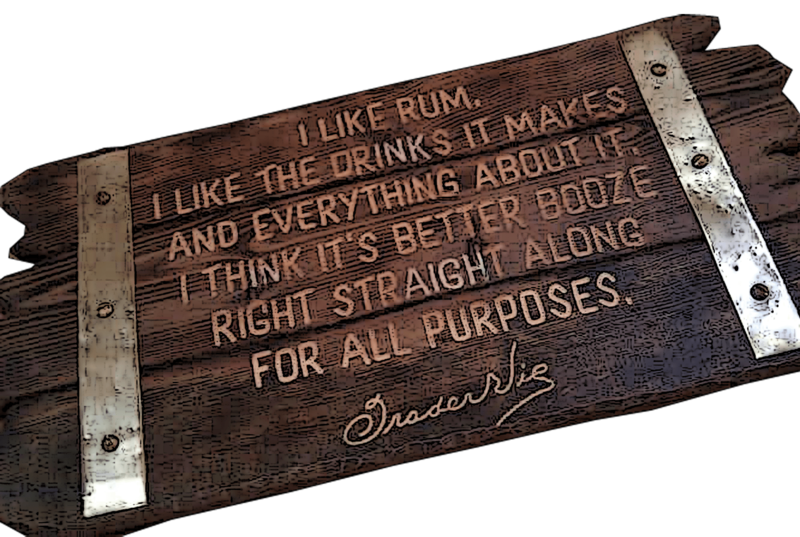 Well, maybe that`s what was in the bar when the photo was going to be shot? the recipe says Extra but of course both would make a great cocktail. I haven`t tried it yet as i don`t have all the ingredients and Cruzan or any other blackstrap isn´t sold here, but i hope to try it in Nola. They all sound delicious. The winner called for Appleton 12 but the photo at “Tales” clearly shows V/X. I wonder which is actually correct? They would both make a tasty cocktail!